MAKE MORE MONEY FROM YOUR WEB SITE! Signup as Affiliate TODAY and start making money! Get up to 30% of Every Sale! Choose Nsasoft products to advertise to your customers. Whether you are a large network, content site or blogger, we have simple linking tools to meet your advertising needs and help you monetize your web site. Get up to 30% in advertising fees. Earn advertising fees from Qualifying Orderings, not just the products you advertised. Plus, our competitive conversion rates help you maximize your earnings. Becoming a Nsasoft Affiliate is quick and easy. By simply placing a banner or text link on your site, you can earn from 30% commission for each customer who clicks through from your site to ours and Orderings one of our products. If you already have a shareasale.com affiliate account, then please login and search our programs in Product Catalog. On this page you will find links to marketing materials for our products. 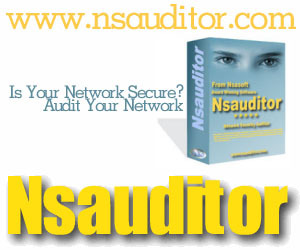 You may download and use any of the materials found on our site to promote Nsasoft products. If you have any questions or need any additional marketing materials that you do not find on this page, contact us and we'll do our best to serve your needs.